Visitors to Eurasian countries — Turkey, Russia, Ukraine or, to a lesser extent, Azerbaijan — might be impressed by the sheer number of domestic television channels that offer news programming. The average TV viewer in Turkey flipping through the local channels is treated to an alphabet soup — atv, Kanal D, NTV, STV, interspersed with FOX TV, CNN Türk, public broadcaster TRT and countless others — all employing a vast number of journalists and purporting to keep the viewers abreast of events shaping the domestic and global agenda. The broadcasts are slick: filled with chyrons, attention-grabbing graphics, remote reports, breaking news, heated exchanges between talking heads and all the other trappings of the modern-day 24-hour news cycle. Watching the lively debates hosted by TV personalities, who exude an air of professionalism and discernment, with or without live audiences nodding in acquiescence or registering disapproval, viewers may be given the impression that they are being exposed to a wide range of opinions in a vibrant, competitive media market. But does this wealth of channels translate into pluralism of points of view? “Certainly not,” says Esra Arsan, journalism scholar and former columnist for Turkey’s Evrensel, one of the remaining newspapers supplying alternative news and commentary left in the country. “In Turkey, there’s no pluralistic media environment. The Turkish media have never been pluralistic in the true sense of the word, but at least there were once mechanisms that allowed for the voices of the right, left, mainstream and fringe wings to be heard, especially, on small media groups occupying the niche space,” she says, citing the formerly independent Turkish-language media, their Kurdish-language counterparts and those of other minority groups. Arsan described the massive media reorganisation that took place in parallel with the rise of president Recep Tayyip Erdogan’s AKP party since 2007. “It was characterised by replacing the old media owners with the new ones with close ties to the government, and exercising total control over them, especially, in big media,” she adds. During the Erdogan-inspired restructuring of the media, professional journalists and newsroom managers were forced out or jailed, Arsan says. The replacement managers left a lot to be desired. “Many of these people are uneducated, have no idea of journalistic ethics or professionalism, they’ve become the mouthpieces for the government”. She points out that more than 3,000 professional journalists who were working prior to 2007 are now jobless. “Nowadays, no matter how many television broadcasters there are in Turkey, we can say the government exercises control over 90 percent of them,” says Ceren Sözeri, a communications faculty member at Istanbul’s Galatasaray University, citing a recent study conducted by Reporters Without Borders. “Among the channels not under government control were stations belonging to Doğan Group, such as Kanal D and CNN Türk. Very recently, it was sold to Demirören Group, a conglomerate with close ties to the government,” Sözeri says. Among the TV channels that are still able to provide diversity in the face of the pro-government news she tentatively cites FOX TV, Tele1 and HalkTV, the latter being associated with the CHP, the main opposition party. “With these exceptions, almost all other remaining channels work in conformity with the government, we can say we have an environment completely devoid of diversity,” Sözeri says. Driven by Erdogan’s efforts to build a single-party regime, this media reorganisation pursued the goal of controlling information disseminated in the country. Buffered by the concurrent changes to the constitution and legal reforms, the jailing of journalists started to rise as well. If this sounds familiar, that’s because it should: “What [Russian president] Putin did since he came to power, was establish control over influential media outlets that had the capacity to form public opinion, firstly, TV,” notes Gulnoza Said, Europe and Central Asia research associate at the Committee to Protect Journalists. “All federal channels are very tightly controlled by the state now, with the instructions sent to the heads of TV companies on how to report on certain situations. It’s very clear that anybody who appears on your screen on a federal channel in Russia knows how they can and cannot speak about important and critical issues like Ukraine and Syria,” she says noting the two hot-button issues around Russia’s ongoing military involvement abroad. According to the latest numbers released by the Media and Law Studies Association, a Turkish non-profit that offers legal protection to the rising number of journalists who find themselves in the crosshairs of the government, with 173 journalists in jail, Turkey currently holds the dubious title of the regional leader. With 10 journalists currently in jail, according to a CPJ report, Azerbaijan is a distant second in the region, and number one among the former Soviet nations. Russia has five, according to the same report. 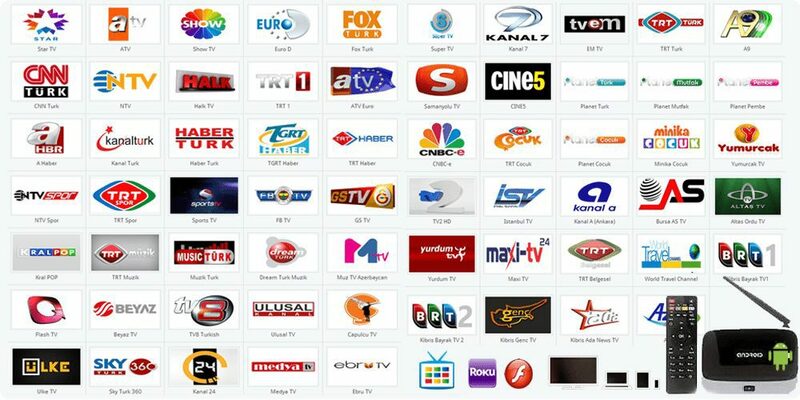 In addition to the state-owned AzTV and Ictimai (Public) TV that was created in 2005 as part of the country’s commitments before the Council of Europe, there are four nationwide broadcasters in Azerbaijan: Atv, Xazar, Space and Lider. Azerbaijani media rights lawyer Alasgar Mammadli says that all these channels fail to inject diversity into the discourse in his country because no outlet presents a balanced viewpoint. “The media only cover the government’s point of view. Considering the realities of Azerbaijan where the majority of information is obtained through TV and radio, we not only don’t have access to objective information, there’s no room for pluralistic news, we only have one expression, one colour.” He calls it “propaganda coming from the government that is disseminated to a large swath of the public,” noting that the internet is the only place offering some semblance of pluralism. “In the entire region, I’d probably not name a single country where we’ve seen a positive trend, with the slight exception of, surprisingly, Uzbekistan,” says CPJ’s Said, noting that with the new administration of president Shavkat Mirziyoyev there has been a process of liberalisation, and for the first time in more than two decades, there are no journalists in jail. Said explains that Ukrainian journalists are facing obstacles practically every day, stressing that she is not talking about Russian journalists trying cover the news from Ukraine. “The [Ukrainian] Ministry of Defense is making it extremely difficult for local journalists to get the so-called ‘military accreditation’ that would allow them to go to the eastern part of the country and cover combat operations,” says Said, adding that one of the newly imposed requirements is that the journalists applying for accreditation must provide previously written stories about the conflict. “I would say it is censorship, because the government is trying to control the way the journalists cover the conflict,” she points out. Ukraine’s TV and radio council puts the number of the national TV broadcasters at 30, in addition to 72 regional channels. The country counts 120 satellite TV channels. “The countries of the region quite often and quite speedily learn from each other’s negative experience,” says Mammadli. “For instance, Azerbaijan started officially blocking sites in February of 2017 through amendments to legislation. Before that, it was prevalent in Turkey and Russia.” He adds that the majority of the blocked sites are related to the alternative news sources. Mammadli puts the number of the internet sites and resources blocked in Russia at more than 136,000. In her view, this definitely affects global press freedom, as dictators and elected officials with autocratic tendencies step up their pressure on critical media outlets in their own countries. The shrinking plurality in the media throughout the entire region leads to a somewhat distorted processes of decision making during elections, says Said. “The lack of plurality, which is a lack of democratic process or access to such, does, in general, make any society more vulnerable. If we look at the situation inside any country, also, when you look at dictators like Putin, you may get an impression that their power is very stable and strong. But that’s a very vulnerable stability,” she adds, explaining it with the fact that it is, ultimately, one person making decisions for the entire country of millions of people. For Mammadli, the people’s inability to access true information and analyse it means that they are contending with mass propaganda. From this point of view, the societies where people don’t know the truth will base their reactions on a lie, he says. Media freedom is under threat worldwide. Journalists are threatened, jailed and even killed simply for doing their job. Index on Censorship documents threats to media freedom in Europe through a monitoring project and campaigns against laws that stifle journalists’ work. We also publish an award-winning magazine featuring work by and about censored journalists. Learn more about our work defending press freedom. Index on Censorship’s project Mapping Media Freedom tracks limitations, threats and violations that affect media professionals in 43 countries as they do their job. 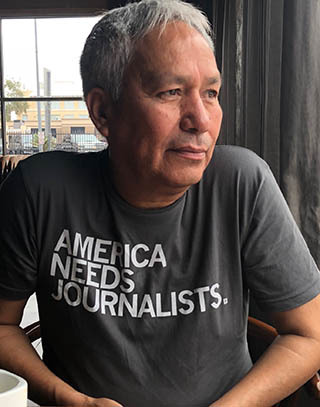 Journalist Emilio Gutiérrez fled Mexico after soldiers sent him a warning. Now the USA wants to send him back. 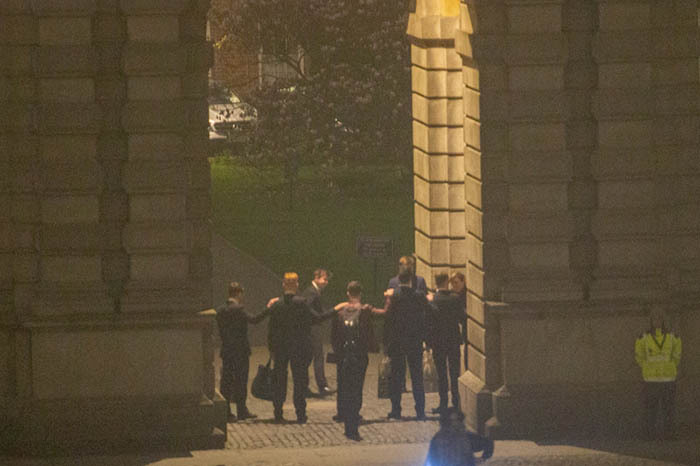 The initiation ceremony, or “hazing”, was seemingly meted out to those invited to become members of the Knights of the Campanile, an invitation-only sporting society, based on similar bodies at Oxford and Cambridge universities. 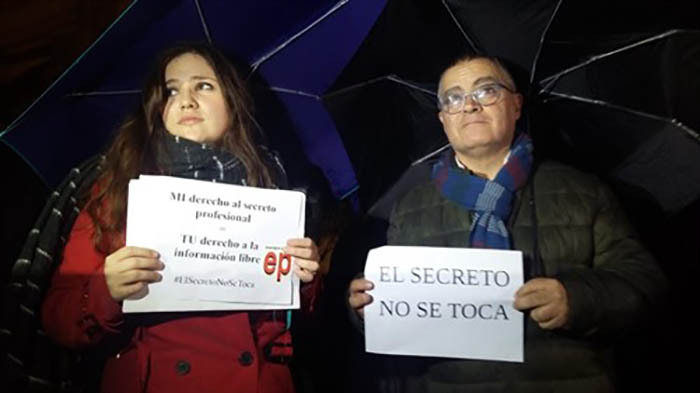 Journalists see the seizure of smartphones by judicial and police as a violation of Spain’s Constitution. Ismail Djalilov is journalist in Azerbaijan and the US, and a human rights and LGBTI rights activist based in Washington, DC.